Virgin Media gives BBC HD channels greater prominence at a time when EPG rules are being reviewed. Following its adoption of an all-HD receiver environment this year, cable company Virgin Media is giving the main two BBC HD channels a promotion and removing standard definition BT Sport channels from its line-up. Depending on where a viewer is in the UK, either BBC One HD or BBC Two HD are being promoted to channels 101 and 102 on Tuesday. As a result, series links may need resetting. Message seen on Virgin Media. Image Credit: Ash Elford. In Wales and Northern Ireland, both main BBC HD channels will occupy the prime positions following the launch of localised versions of BBC Two in HD in the two nations. In Scotland, BBC Two HD will continue to appear down at channel 162 until late February, when the current BBC Two Scotland service in standard definition is closed in conjunction the launch of the standalone BBC Scotland TV channel. BBC One Scotland HD moves up to channel 101. 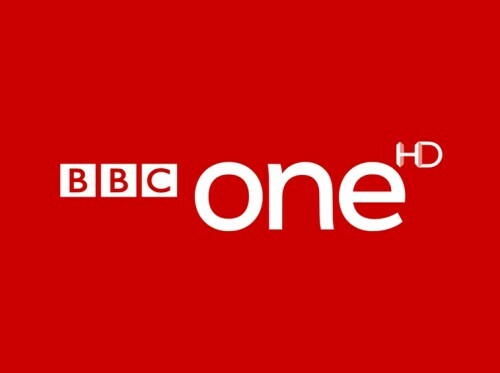 In England, BBC One HD can't move to channel 101 until the BBC can offer the same regional variations as the current standard definition channel. The BBC dropped an earlier aspiration of launching HD regional versions during 2017 and 2018. However, BBC Two HD does get promoted to channel 102, as it's the same as the English standard definition version. The move to promote BBC HD channels to the top positions, wherever the HD version available matches the existing SD version, brings Virgin in line with Sky and Freesat, where a similar arrangement has been in place for a number of years. At the same time, Virgin Media will from now on only offer BT Sport in HD and UHD, following on from the axing of other standard definition channels in favour of HD only distribution - FreeSports and Gold are all HD only on the network. With all supported receivers on Virgin Media being HD receivers, the existence of duplicate SD channels is now more of a contractual matter between Virgin and the broadcasters, rather than a technical issue. The change to BBC HD slots comes at a time when Ofcom is reviewing rules governing Electronic Programme Guides (EPG) to see if they are fit for purpose. Current rules date back to the 2003 Communications Act, which forced platform operators to reserve the top five positions for the relevant regional versions (where applicable) of the main five channels. However, these rules were originally composed when there were just standard definition versions of channels, meaning broadcasters and platform operators couldn't be forced to substitute the old SD copies of channels with HD variants. At the same time, Virgin along with Sky is facing scrutiny over the positioning of other public service channels such as BBC Alba, S4C, Channel 4 (for viewers in Wales) and local TV channels. Ofcom wants these services to appear in more prominent positions. Virgin has faced criticism from Sky for claiming it doesn't offer a regionalised EPG that can cater for different services in the nations. In its submission to Ofcom, Sky said the proposals to ensure these channels had a higher ranking was unfair on those platforms operating a regionalised EPG compared to Virgin Media. Sky said: "Ofcom’s proposals would require Virgin Media to list Channel 4 at slot 104 and S4C on the first 3 pages of the EPG. By contrast, Sky, which provides a separate version of the EPG in Wales, would be required to list both S4C and Channel 4 on the first page, resulting in significant disruption to broadcasters and viewers, as described above. Sky is effectively being discriminated against for regionalising its EPG." However, the move to shuffle BBC HD channels differently in the four nations of the UK, indicates Virgin, could - if it wanted to - provide a regionalised EPG to give BBC Alba and S4C more prominent slots in the respective nations - Virgin has been the only platform to deny S4C the fourth channel slot to viewers in Wales due to previously having a single UK-wide channel numbering system. Ofcom is to report back on how PSB prominence rules should change to reflect changes in technology and viewing habits in the coming months.